There wasn’t a whole lot of substance to it. There were questions and answers on policy, but most of that was buried by the five serious candidates taking time to recognize the turd in the punch bowl. That would, of course, be David Duke, who slid in under the door of Georges Auditorium at Dillard University and onto the stage by polling at 5.1 percent in a Mason Dixon survey taken on behalf of Louisiana’s Raycom stations in advance of the debate. Raycom had announced its debate participation standard as polling at five percent or above, and there was Duke hanging on by his fingertips to a place on the stage. Which engendered a near-riot by Dillard students and assorted other oddballs who opted to spend a beautiful Thursday evening in New Orleans scrumming with New Orleans Police as they attempted, unsuccessfully, to storm the building in protest of Duke’s presence. Duke then bitched that he’s made out to be the bad guy because he takes up for white people. “Yeah, I’m the bad guy because I defend the people of this country that made this country great, gave us our constitution and our freedom, and we’re losing our rights in America,” he groused. Duke seemed almost gleeful during the exchange, which brought to mind the old admonishment from Mark Twain about not wrestling with a pig – you’ll get dirty and the pig will like it. As the debate ended, Duke continued rambling, bellowing and gesticulating as the others left the stage. It was a performance which in some ways seemed parallel to the one given by someone else seemingly poorly cast for an appearance on television last night – that being Beyonce’, whom ABC thought would make for an interesting change of pace at the Country Music Awards. She took to the stage with a different style of rambling, bellowing and gesticulating, offering a rendition of her song “Daddy’s Lessons” with an assist from the Dixie Chicks. “Daddy’s Lessons” is decidedly not a country song, as David Duke is decidedly not a serious candidate for the U.S. Senate. 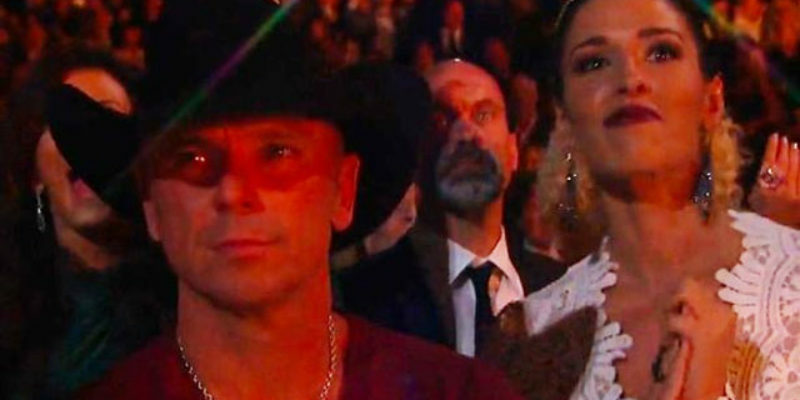 Kenny Chesney’s look was such a classic that it applied to two programs on television last night – as debate viewers could certainly identify with his “When is this going to be over?” scowl.